Saturdays are meant to be pizza days, don’t you agree? 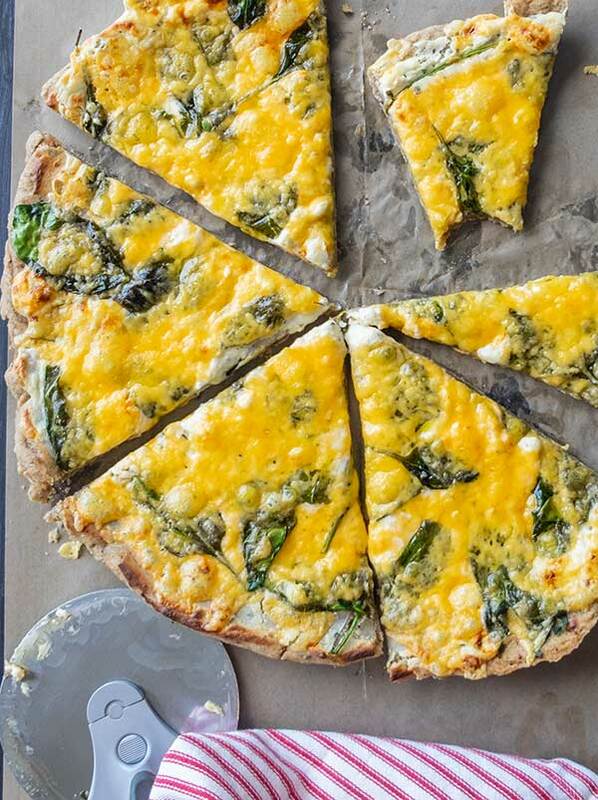 This gluten-free vegetarian buckwheat Alfredo and spinach pizza has two things we all love in a pizza. A delicious crust and plenty of cheese. In this recipe, I used only three toppings, but believe me, the pizza is beyond delicious. 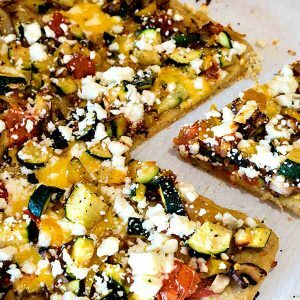 When it comes to pizza toppings the list can be endless, but I wanted something different, so with small changes, I created a pizza that has become a favourite at our house. First I made a flavourful Alfredo sauce specially made for a pizza, then I added fresh baby spinach and cheddar cheese. Honestly, these three layers make an outstanding pizza especially piled on top of a crispy buckwheat crust. 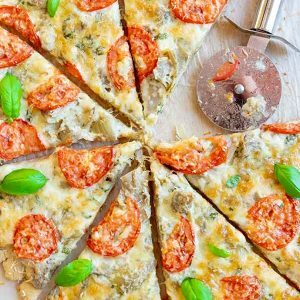 What I love most about this pizza recipe is, the buckwheat crust is super easy to make. 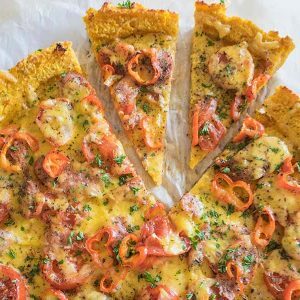 The best part is, you can use this gluten-free buckwheat pizza crust recipe and create your own toppings. Enjoy!